The great advantage of the Clay Bastion is its unrepeatable atmosphere. An impressive structure of unburnt clay stands on the banks of a romantic pond on the edge of Průhonice, the sunny terrace is literally glued to a peaceful water surface. Whether indoors or outdoors, you will always be surrounded by a fabulous backdrop that will enhance your gastronomic experiences. Enjoy the relaxed home atmosphere, underlined by French charm. 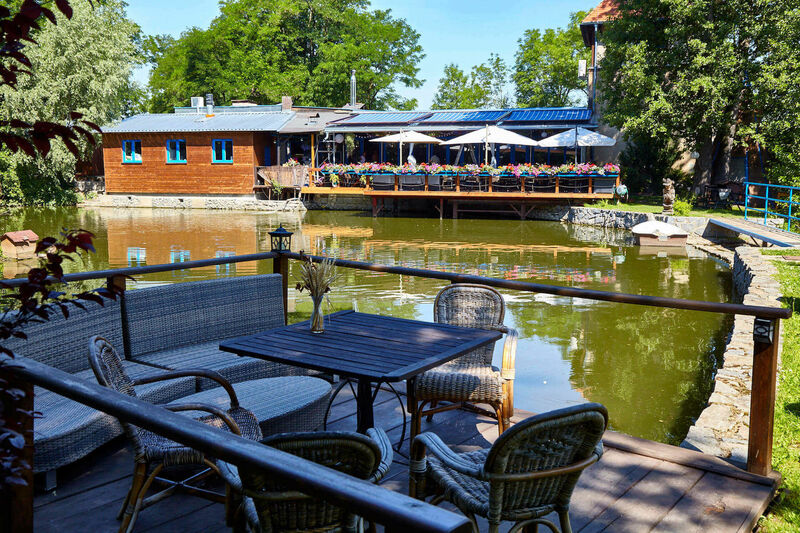 The renowned and years-proven oasis of Pruhonice gastronomy is built on several pillars. 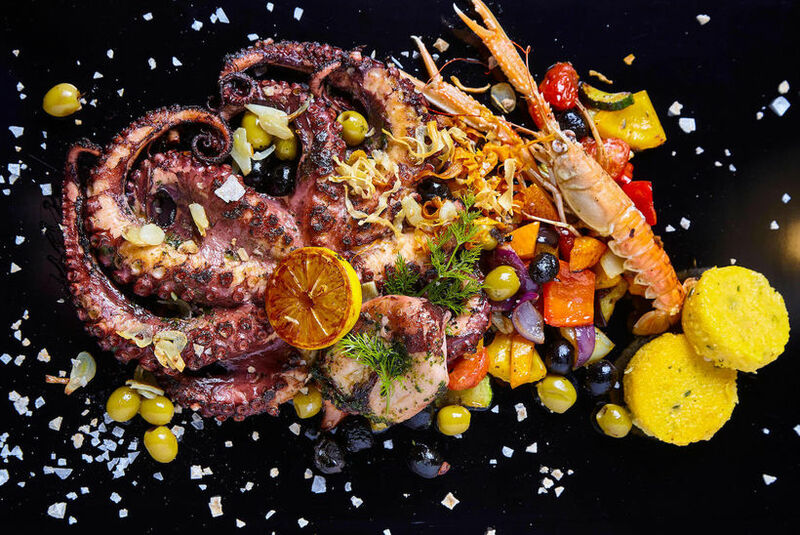 In addition to the emphasis on seasonal products and a wide range of fish and seafood, Clay Bastion is famous for its creative cuisine, which offers a unique blend of European and Asian flavors. Lightly spicy tones of chilli, ginger, or lemongrass provide the traditional European gastronomy with an unexpectedly refined taste, which will also pleasantly surprise experienced gourmets and gourmets. But there are also quite ideal for the taste specialties of Czech cuisine. The main soul of the whole company is the exceptionally experienced chef Hynek Vávra, who is constantly inspired by the world gastronomy and preparing new, tastefully fresh dishes for every season. 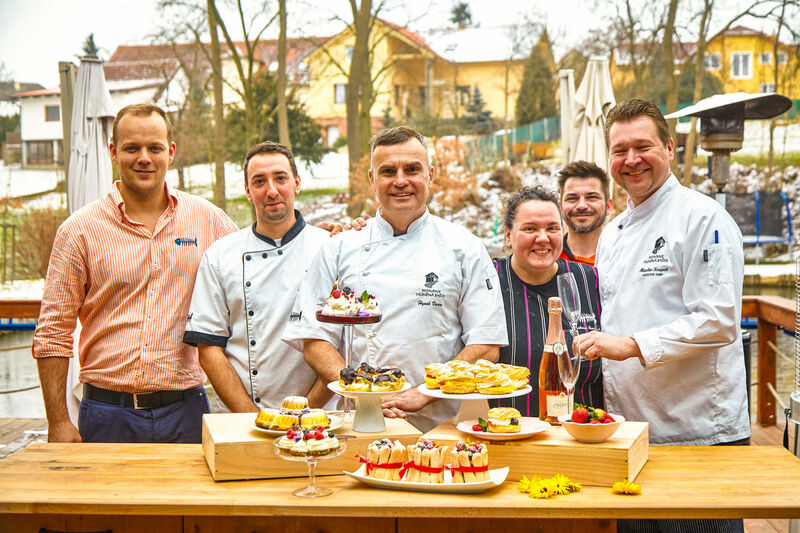 His right hand is Barbora Brozova, an experienced chef and a fantastic confectioner. But as both leaders consistently say, the most important is a well-functioning team that ensures the absolute satisfaction of all guests.